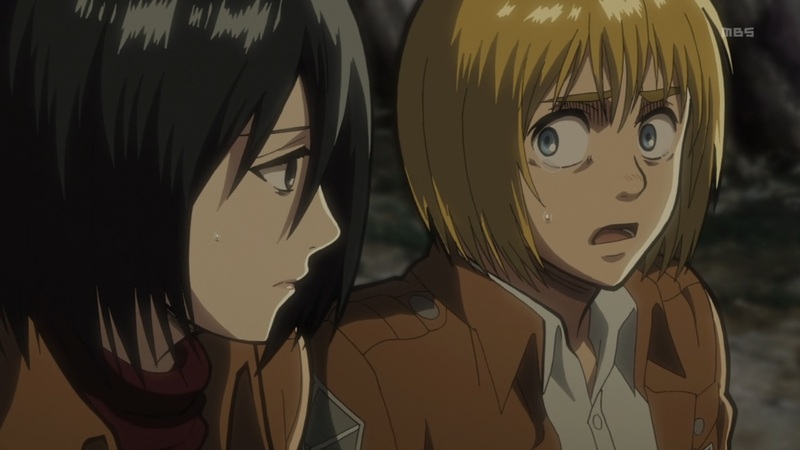 I’ll be the first to admit giving Armin an entire episode might be too much. Guess that’s what happens when things continue to move at a slow pace. One thing I haven’t addressed in detail has been the very slow, at times glacial, pacing of Shingeki no Kyojin. 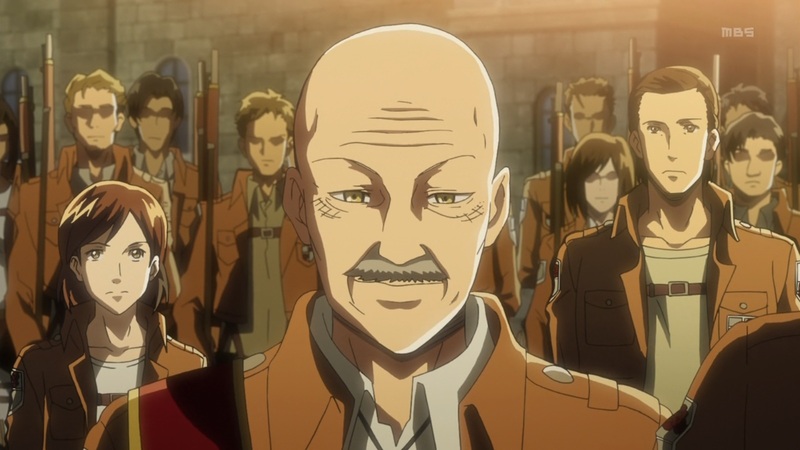 I’ve stayed quiet on the matter, but this episode more than proves how slowly the series is going when a character like Armin gets an entire twenty minutes. Not that he doesn’t deserve character development nor was it bad a time for him to step up but it was a little too long. At a time when the series is going slow enough, another uneventful episode with just dialogue is not the best way to get people excited about the next part of the anime. It keeps us from getting excited about what’s to come next, seeing as how it doesn’t feel like we’re building up to anything. While the episode was slow, it did cover its bases. 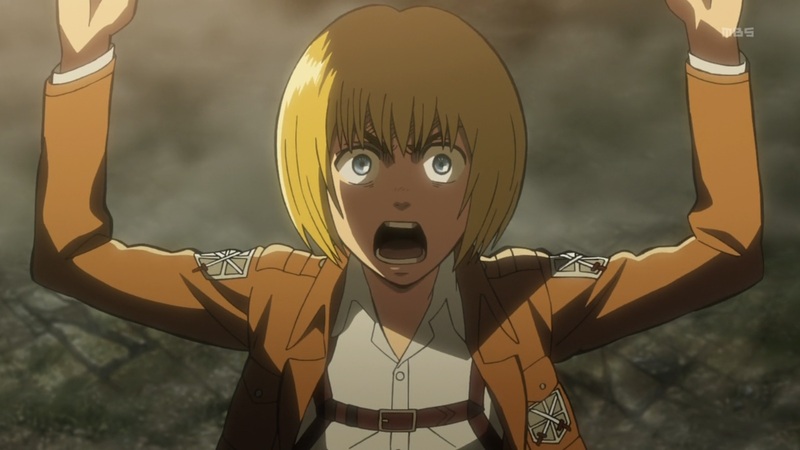 Armin’s emotional speech was as dramatic as the series itself and had the animation direction to go with it. Plenty of slow motion movement, cutaway shots and over-the-top yelling to sell the drama that carried over from the previous episode to continue the weak build-up towards the next, more exciting and action-packed arc. Were the episode to pick up some speed, like the second half of the episode – wasn’t quick but not as bad as the first half – we’d be getting a better build-up of tension and get the feeling that we’re about to witness a big development in the plot. 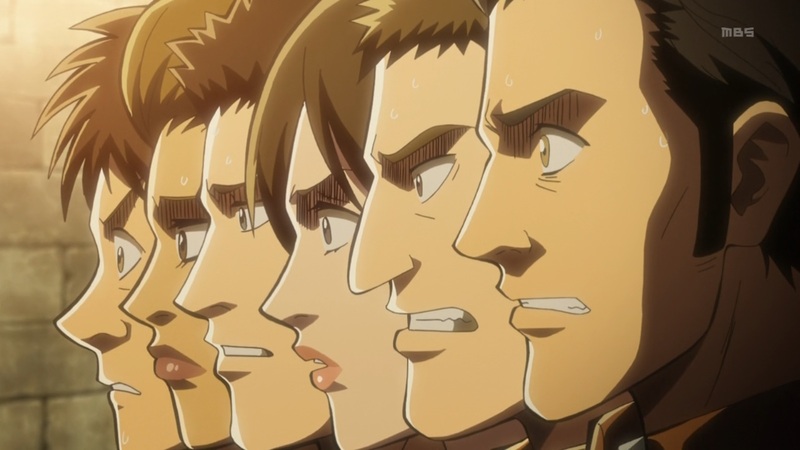 It may not feel like it, but we’re definitely at another defining moment for Shingeki no Kyojin‘s anime. 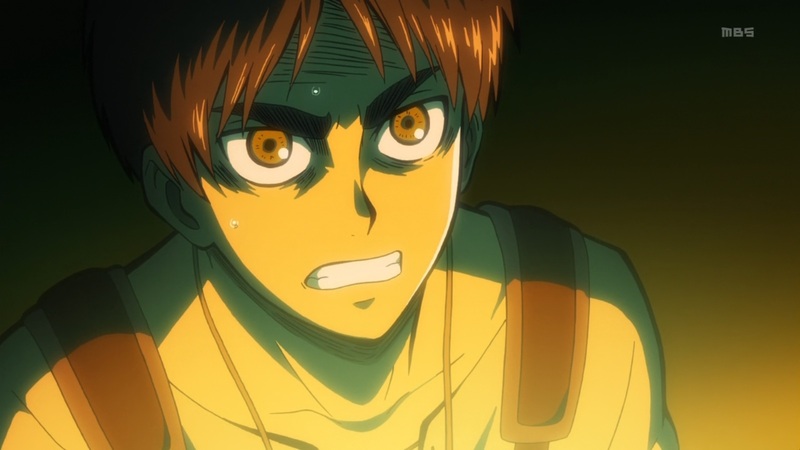 Eren’s transformation into the titan and his search for answers will have considerable impacts on the second half of the story. We’re talking about how Eren is perceived by his fellow humans and also how he’ll be put to work, to start the real fight against the titans. Our acquaintance Pixis made this possible as the single voice of reason, and it’s safe to assume he’ll have more to do down the line as opposed to playing an active role right now. The worry now is how the next three episodes will play out. For those of you missed the news; episode 14 will be a recap, meaning Shingeki no Kyojin has 3 episodes in which to pick up its energy and get us enthused before it takes a one-week break, so to speak. Most likely to do with Wit Studio seeking animators for the second half of the series and if that means no dips in quality, then that’s acceptable. This entry was posted in Episodics, Shingeki no Kyojin and tagged anime, Armin Arelet, Attack on Titan, Eren Jaeger, Shingeki no Kyojin on June 9, 2013 by azeriraz. Anime and Manga enthusiast. Main writer for Anime Aura, regular contributor Anime Audiolog. I feel similarly about the pacing of this show – it often spends the first half (or hell, first four-fifths) of an episode quagmired in overlong or unnecessary flashbacks and slow expository dialogue, then crams five minutes of plot development in at the end. I’m not sure if this is a result of budgetary concerns, uncalled-for reverence for the source material, or poor direction, but it definitely works to the detriment of a show as wholly focused on action and momentum as Titan. I also agree with your points about the pacing of this series. There are plenty of positive aspects about Shingeki no Kyojin, but the way it drags things out in an almost painfully obvious effort to heighten the tension and make things more dramatic is certainly not one of them. The story itself is good – the storytelling is not.